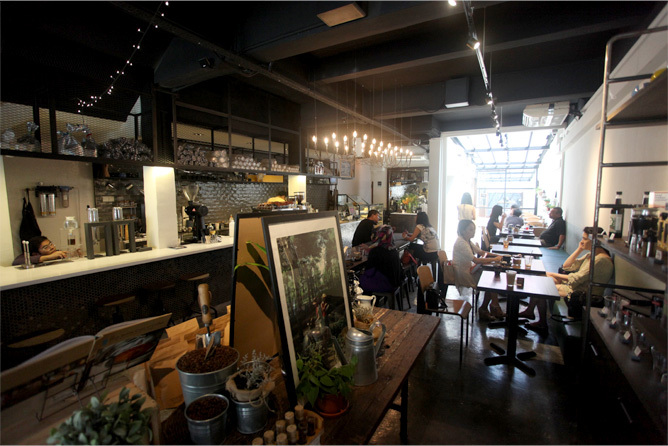 It’s no secret that Singaporeans are crazy about cafés. With our newfound obsession with café-hopping in recent years, it’s no wonder cafés have been sprouting up like mushrooms all over the country. While cafés make the best places to just hang out or chill with friends, they can also be the ideal setting for a quaint, intimate wedding; if you’re looking to exchange your vows in a private and quirky setting, then a café’s just perfect. Since combing through the several hundred cafés in Singapore is no easy feat, we’ve made the search easier by narrowing it down to 24 places that will be most suitable. Here’s to finding your dream wedding venue! Insert an element of old-world charm to your wedding with the Boufe Boutique Café. 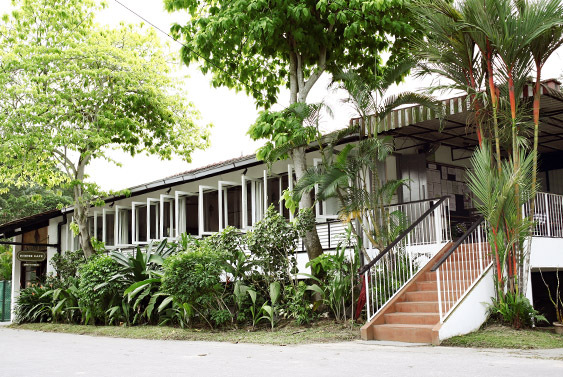 Situated at Phoenix Park, Boufe features a colonial-style façade dating back to 1949 Singapore. The unique factor is heightened with its minimalist, whitewashed décor, which brings a modern twist to the historic venue – a marriage of tradition and modernity. Another highlight of the café is its exclusive boutique space by local blogshop Ohvola, where the ladies can feel free to engage in some retail therapy after a lovely meal. From its intimate setting to its unusual concept, you’ll be sure to have a memorable ceremony at Boufe. Tucked away within the tranquil green compounds of the Goodman Arts Centre is the spacious Café Melba, which stands on the grounds of a former basketball court. With a steady stream of customers week after week, the Melbourne-inspired eatery is often packed and has been featured in numerous editorials and websites. With a sprawling compound, private setting as well as one of the best brunch menus in town, it’s no wonder Café Melba has become one of the most popular non-traditional wedding venues in Singapore. Estimated cost/minimum spend No minimum spend imposed for bookings after 4pm. A buffet-style wedding without alcoholic drinks will cost at least $40-$45 per guest, depending on the selected menu. For a wedding of about 100 guests on a weekend evening, the estimated cost ranges from $8000-$9000 nett. For full-day booking, a minimum spend of $20000 will be imposed. Estimated cost/minimum spend For a fully private event (min. 20 guests), prices start at $700 nett for a three-hour booking on weekdays and $1300 nett for a three-hour booking on weekends. Food catering is priced at $30/person and consists of two savoury items, two sweet items and two non-alcoholic drinks, and will be served buffet-style. Couples also have the option of topping up $600 for Heaven in a Wild Flower’s event styling services, which include consultations with the owner, sourcing of materials, props rental, manpower, set-up and tear down. Wedding favours such as jams and biscuits can also be provided (please contact Carpenter and Cook directly for more information). Note that the café is closed on Mondays. 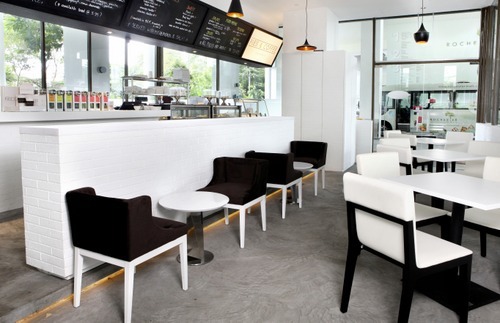 Revolutionising the concept of the café in Singapore is Coffeemin, where guests are charged according to the amount of time they spend inside the café as opposed to what they eat. Coffeemin’s facilities include an Xbox 360 game console, a pool table, board games, a display projector, a 60-inch TV for video screening as well as unlimited flow of drinks and snacks, making it ideal for entertaining guests. With its many facilities and cheery, fun interior, it’s no wonder this one-year-old café is already a popular choice for private event bookings. You’ll also be pleased to know outside food is permitted, so feel free to bring in your own food. 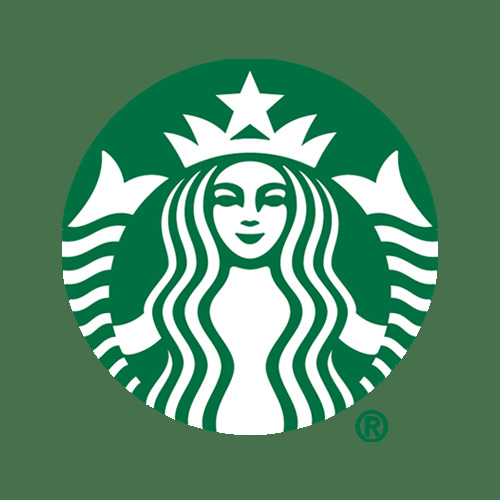 Coffeemin currently has two outlets: at Clarke Quay and Suntec City. According to the website, a three-hour event for 30 guests will cost $618 on weekdays and $718 on weekends. Note that the café does not impose GST surcharges. Couples who wish to wed away from the hustle and bustle of the city should consider Craftsmen Specialty Coffee. Located in the heart of the ever-chill Siglap, the café prides itself on serving quality coffee along with sumptuous comfort food. With simple wood furnishings, quaint lights and even a brick wall, Craftsmen is the ideal setting for an intimate hipster wedding. The café also has a second outlet at Eastwood, so be sure to check that out as well. Estimated cost/minimum spend Depends on your budget. Please call to enquire about exact pricing. Pushing the boundaries of the Third Wave of Coffee is d’Good Café, which aims to bring its customers “blend and brew the way you like it.” Specialising in single-origin coffee beans, this place is any coffee enthusiast’s dream, featuring a wide variety of beans and brews which they can customise to your preferences. Aside from its delightful brews, the café features a chic interior, with four different settings – The Bar, The Attic, The Balcony and The Lawn – spread over two levels. Having hosted numerous events ranging from product launches to MediaCorp events and wedding photoshoots, you are sure to be in good hands at the d’Good Café. Food prices start at $22++/person, and will be served in a Western-style buffet. A premium rate will be charged for The Lawn. Coffee junkies, this one’s for you! Founded in 2013, Dutch Colony Coffee Co. is already known for serving some of the most delicious brews in town. Possessing a vast selection of quality coffee beans from all over the world, the café has been featured in Honeycombers Singapore’s list of Best Coffee Roasters in Singapore and local food blog’s Seth Lui’s list of best coffee cafés in Singapore, amongst many other rave reviews. Dutch Colony Coffee Co. at Frankel Avenue is the newest of the outlets and exudes an intimate, relaxed ambience as compared to its Pasarbella counterpart. With tasty refreshments served in a quiet location, the café is just right for a private solemnisation. Estimated cost/minimum spend Please contact the café directly for more information regarding minimum spend. 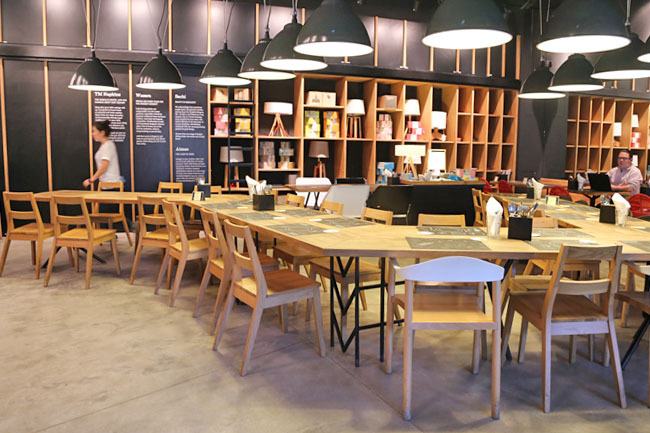 Bringing freshly baked artisanal bread to the local café scene is East Manhattan, which was first launched as a bakery at Katong V Mall in November 2013. Headed by a passionate master chef who honed his culinary skills in Manhattan, the café prides itself on being cosmopolitan as well as a melting pot of the world’s finest all while being rooted in the traditional American baking style. 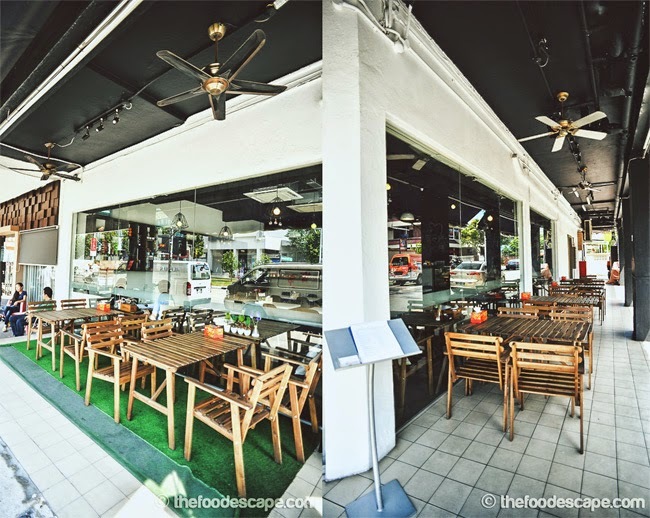 The establishment has since expanded to include a boutique café at Lorong Kilat, which is also home to other famous eateries, such as the aforementioned Carpenter and Cook. Not just one for aesthetic appeal, East Manhattan also keeps its dishes gluten-free, so you can be assured of a healthy yet delicious meal amidst a rustic and cosy atmosphere. Estimated cost/minimum spend Around $1500 nett for a three-hour booking on Saturday. For additional cost information, please contact the café directly. For the ever young-at-heart, EatPlayLove Café is the place for you. Serving Thai delights alongside simple Western fare, the eatery offers a unique hands-on experience for kids and adults alike. 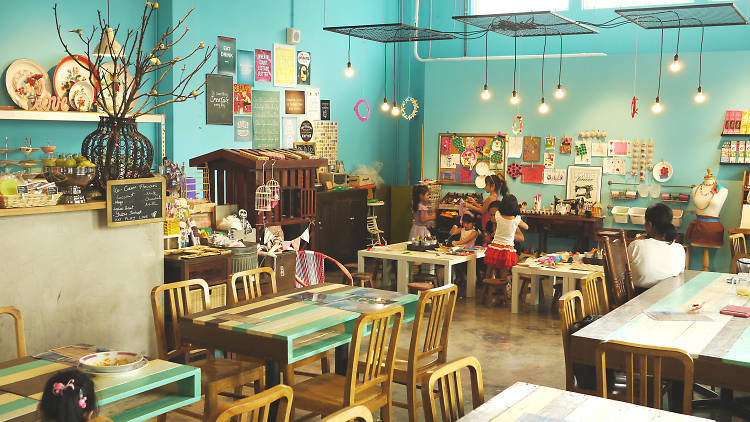 Since the café is filled with various craft materials, visitors are free to create their own DIY masterpieces while enjoying their meals, boding for a memorable and fun experience. Vibrantly decorated and exuding a playful charm, the venue is sure to make you feel like a kid all over again – how nostalgic! Estimated cost/minimum spend Minimum number of 25 guests required for a party booking. For a fully private event, a booking of minimum 60 guests is required. Children between 2-10 years will be charged 50% of the package price and count as ½ pax, while children below 2 years will have no charge. Prices start from $23 nett/guest. Décor and candy table packages are also available. Please contact the café directly for more information. Note that the café is closed on Tuesdays. Boasting an elegant façade and a cosy interior, the Five & Dime aims to serve wholesome comfort food in a warm and friendly atmosphere. 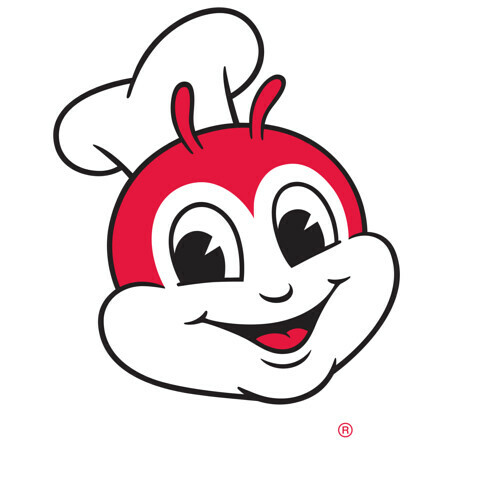 Its simple and honest fare is well-executed, accounting for its strong following over the past few years. As a standalone building on the quieter end of River Valley Road – rarely seen in Singapore – the establishment is bright and open during the day, but turns into a romantic place come nightfall. You and your guests will also be pleased to know that there is free parking around the back of the compound, making it all the more convenient. Estimated cost/minimum spend The café usually only takes bookings on weekdays. The minimum spend for a lunchtime and dinnertime booking is $2500++ and $3500++ respectively. For couples who couldn’t get enough of science back in the day, unleash your inner geek at the Fresh Fruits Lab! Adopting the concept of a laboratory, the elegant bar and bistro incorporates its trademark fruity focus into familiar favourites, boding for a refreshing treat. Nestled in a quiet corner along Changi Road, the quirky café serves an extensive menu of mains, desserts and drinks amidst its creative décor and laidback atmosphere. True to its theme, drinks are even served in test tubes and conical flasks! 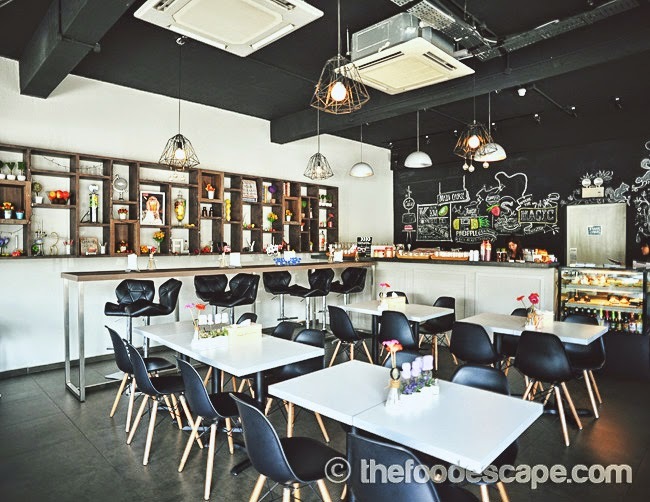 With a unique concept, good and healthy food as well as one of the best rainbow cakes in Singapore, you’ll be sure to have a memorable time at the Fresh Fruits Lab. Estimated cost/minimum spend From $1200+ (Tue-Fri) and $2000+ (Sat-Sun). Note that the café is closed on Mondays. 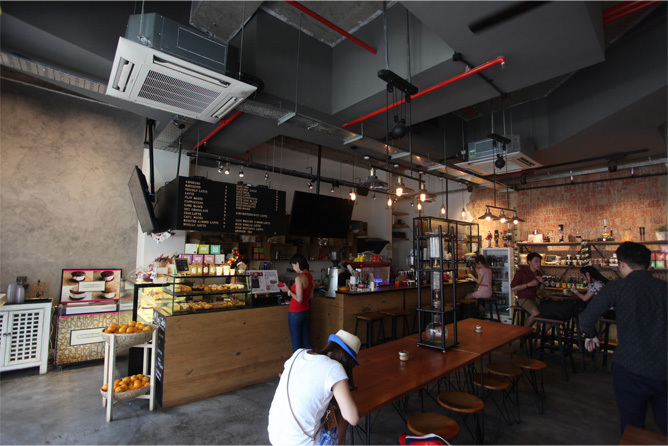 Starting out as a collective events space along Duxton Road, Group Therapy Coffee has since grown to include two outlets and has become a popular hangout joint for many in Singapore. Marketing itself as “a space away from the daily grind,” the café wishes to enable customers to forge close interpersonal relationships and connections with one another over good food and drink, hence its name. A popular location for events, Group Therapy @ Duxton is housed within a restored conservation shophouse and possesses a loft-like ceiling, exuding both character and charm. Easties may also want to check out the outlet at Katong V, which features a cosy and warm ambience. Estimated cost/minimum spend Please email the café directly for more information. Note that the outlet at Duxton is closed on Mondays. Nestled in the heart of One-North is Hoopla Coffee & Kitchen, where guests can happily dine without having to break the bank. As a place for everyone to simply celebrate, Hoopla stands out amongst many other local cafés due to its spacious venue. Bright and tastefully decorated, the café can easily seat over a hundred guests, with its vintage feel making for the perfect wedding atmosphere. Indeed, the café is no stranger to holding events – holding at least two to three events a month, the team customises proposals to cater to their clients’ needs, ensuring a personalised experience. Estimated cost/minimum spend As Hoopla customises its packages according to its customers’ needs, prices will vary from customer to customer. The estimated cost for a booking of 100 guests on a Saturday evening starts at $7500 nett. Add-ons for dessert tables and wedding decorations (including a table for solemnisation) are available as well. For more information, please email the café directly. Can’t seem to find the right venue for your wedding? Fret not, since Hungry Heroes is here to save the day! Conveniently located at Little India, the charming restaurant and bar (yes, we cheated, but we simply couldn’t leave this amazing place out!) is housed in a nostalgic conservational shophouse, specialising in hearty, robust meats and delightful craft beers. 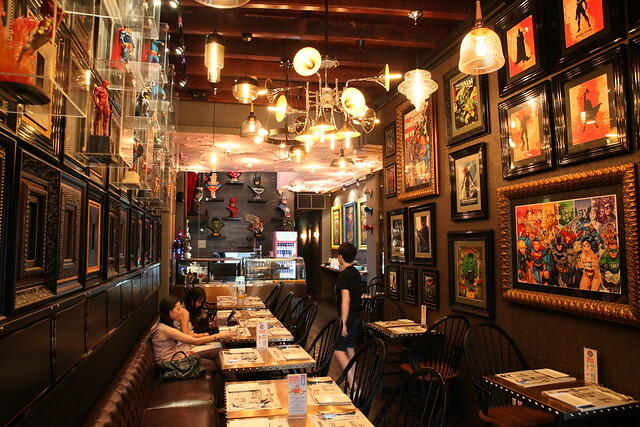 The first superhero memorabilia and pop art theme eatery in Singapore, the place is filled to the brim with life-sized superhero statues, head busts, action figurines and movie posters that are sure to make comic book fans go wild. Vibrant, bold and quirky beyond comparison, Hungry Heroes is the perfect venue for a memorable (superhero-themed) wedding. Estimated cost/minimum spend Minimum spend to book level 2 for 50 guests starts from $2500++ in the afternoon and $4200++ on a weekend. 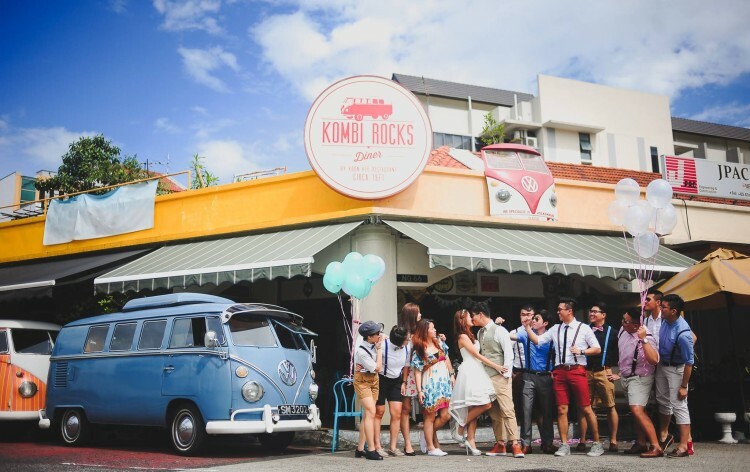 Retro never goes out of style, so why not go for some old-school charm with Kombi Rocks? A retro diner and vintage vehicles and props rental service rolled into one, Kombi Rocks gives old vehicles a new lease of life, funding the restoration and constant upkeep of the vehicles through its rental services and diner. The diner itself was formerly the Koon Kee Restaurant, and still serves Thai and Chinese fare just like back in 1971, when it was first established. Indeed, the diner captures the nostalgic charm of 50s Singapore with its shophouse exterior and green-tiled interior. The establishment also boasts various wedding packages and services, so do be sure to check them out! Estimated cost/minimum spend Prices start at $25+ per guest. Children aged 2 to 7 years old will be charged 50% of the adult price and are counted as ½ pax. Many other options (e.g. vintage car rentals, decoration packages etc.) are available, including a solemnisation package at $388+, and everything is customisable to fit your requirements. For more information, please contact Kombi Rocks directly. While not strictly a café, the Nassim Hill Bakery Bistro Bar features an impressively diverse menu, from all-day breakfasts and artisanal breads to Western favourites and an extensive drinks menu. Spacious and stylish, the restaurant seats up to 120 guests, boasting a medieval-inspired décor with a contemporary twist. There’re even stained-glass windows to add to the medieval feel! At Nassim Hill, diners are made to feel welcome and in a friendly environment, so you’ll find that you can tap your own beers upon ordering – much like the taverns of old. So if it’s an intimate night of revelry and joy you’re going for, Nassim Hill Bakery Bistro Bar is the place for you. Estimated cost/minimum spend Minimum spend is about $8000+ for brunch/lunch and $4500+ for dinner on a weekend. Buffet packages (min. 50 guests) are about $65+/pax. Drinks package and shared platter package options are also available. For more information, please refer to the Perfect Weddings forum or contact the restaurant directly. Launched in April 2012, Nom Bistro & Bakery was originally Yesterdae, a small neighbourhood café serving homemade desserts in the MacPherson area. The café’s customised fondant cakes soon attracted plenty of attention, and became increasingly popular amongst customers. The café then decided to expand its operations, and has since shifted to its current spot at MacPherson Community Club, rebranding itself as NOM – short for No Other Meaning – in the process. The social enterprise also aims to help disadvantaged Singaporeans become more self-reliant by providing employment and training opportunities. In fact, the café celebrates our local spaces with its void deck-inspired décor, and even has a small replica of Singapore’s iconic dragon playground. Bright, spacious and nostalgic, NOM is a popular certain to strike a chord with Singaporean couples. Estimated cost/minimum spend From $1200 nett on weekdays and $1700 nett on weekends. Bookings are made in three-hour slots, with extentions subject to additional charge. Buffet packages start at $19 nett/guest. Corkage charges apply. For more information, please contact the café directly. Note that the café is closed on the first Tuesday of each month. On the Table is a café that has been created as a space where a guest can gather the greatest and most important people in his or her life, and enjoying that very special moment with some awesome food. The sister of the hugely popular Lola’s Café, On the Table is a cosy, intimate establishment where one can indulge in the delights of comfort food away from the hustle and bustle of everyday life. Seating up to 80 guests, the café features a tastefully decorated interior that doesn’t need much embellishment, making it the right place for a private solemnisation. Booking extensions require additional charges. Food packages start from $20/pax. Note that the café is closed on Mondays. 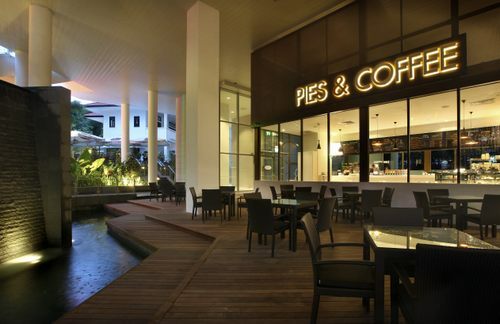 Founded in 2011, Pies & Coffee has since become a popular café with Singaporeans, and now boasts four outlets across the country. Tucked away in the serene Rochester Mall, we find this to be undoubtedly the prettiest outlet, and definitely most suitable for a wedding. Guests can choose to dine indoors amidst its sleek minimalistic interior, or al fresco beside a soothing water feature. Capable of holding 60 seated or 100 standing, Pies & Coffee Rochester is spacious and quiet, giving you the necessary privacy for your special event. Estimated cost/minimum spend From $2500++ on weekdays and $3500++ on weekends for a maximum of three hours. Non-exclusivity charges are with a minimum spend of $2000++ on weekdays and $2500++ on weekends. One of Singapore’s most well-known cafés, the P.S. café first opened in 1999 and is now considered a veteran in the business. Serving hearty renditions of savoury café classics as well as yummy desserts, the café has since expanded to include no less than six branches across the country. Thoughtfully-designed interiors, lush surroundings, generous portions and a romantic setting are just some of the reasons customers have been consistently returning for over a decade. Here in this article we have picked the two most suitable outlets for your wedding, so be sure to check them out! Estimated cost/minimum spend Minimum spend of $18000++ to book the entire outlet. Note that the café only allows event booking on weekdays (Mon-Thurs). For more information, please contact the café directly. If you’ve always longed for an English countryside wedding but thought it impossible to achieve, here’s introducing Riders Café. A standalone edifice amidst lush greenery, the café exudes a rustic charm reminiscent of the idyllic English countryside. Boasting a high ceiling and large whitewashed windows that let in a good deal of natural light, the place is elegant, intimate and above all, very charming. You can even complete the experience by renting a horse for a photoshoot at the nearby Bukit Timah Saddle Club – an experience you and your spouse will certainly remember for a long time to come. Estimated cost/minimum spend Minimum spend from $3500++ (inclusive of venue rental) for a three-hour event. For weekends, the café holds private events only from 5pm onwards, and the minimum spend will be $3800++ with venue rental of $1000+. Food menu starts from $60++ per guest. For more information, please refer to the Perfect Weddings forum or contact the café directly. At Table Manners, “the world is round, and manners aren’t square,” and playing with your food is welcomed. With a communal seating layout and a quirky theme, the café is a fun and engaging venue for any guest. 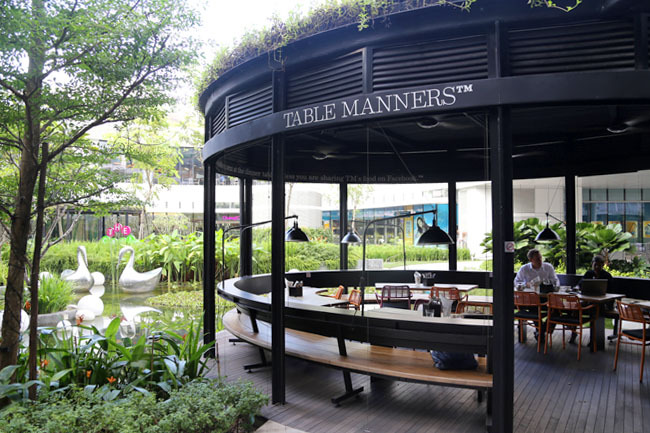 Located at Changi City Point, Table Manners is an idyllic escape that makes for an intimate, welcoming venue – a great place to spend your very special day with your loved ones and closest friends! Filled with witty and humourous quotes all around as well as good food, you’ll be sure to put a smile on everyone’s face. The café also boasts a lovely alfresco area by a pond – beautiful! 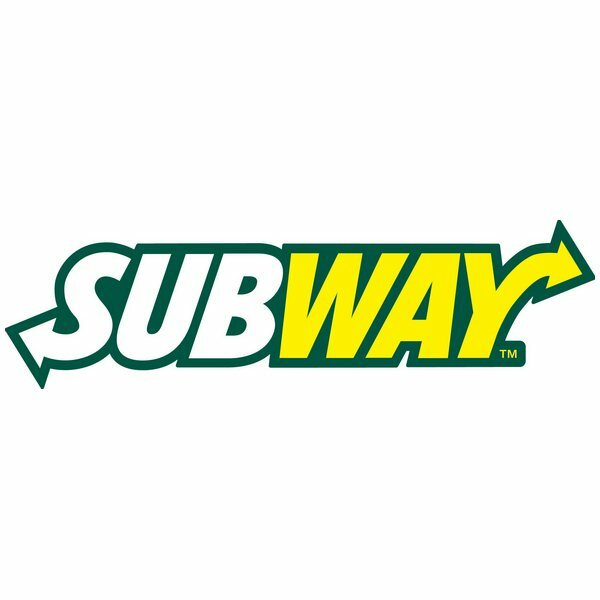 Estimated cost/minimum spend Food packages from $25++/guest. Event bookings are only for two hours. Additional charges apply for longer bookings. Undeniably one of the most inaccessible places in Singapore, The Coastal Settlement seems to transport you to another world altogether. Formerly an army barracks, the spacious café offers you the experience of immersing yourself in the wonders of Mother Nature, making for a refreshing change of pace. With its detailed vintage decoration, the place is the ideal setting for a vintage-themed wedding. You may also exchange your vows amidst lush greenery in an idyllic garden setting for a fairytale garden wedding. 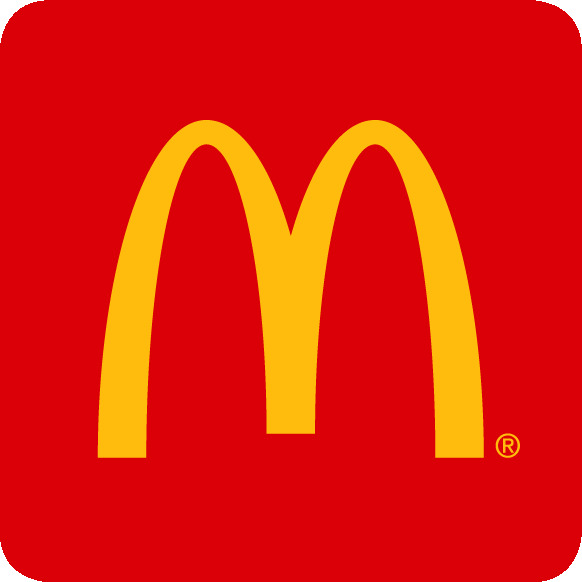 Estimated cost/minimum spend Prices vary according to the customers’ requirements. For more information, please contact the café directly. If there’s a recurrent theme throughout Singapore’s cafés, it’s the industrial theme. With barrels flanking the doorway and even a workspace on the top floor, The Refinery promises to deliver as best as it possibly can. Harbouring the nifty concept of bringing together a casual dining restaurant, mixology bar and a designer workspace, the establishment seeks to bring talented individuals from the three different fields altogether to bring its customers a whole new experience. Chic and sleek, The Refinery checks all the right boxes for the dream hipster wedding venue. Estimated cost/minimum spend For a four-hour booking, the venue costs $2000 (Mon-Thurs) or $3000 (Fri-Sun) for Level 1 and $1000 (Mon-Thurs) or $1500 (Fri-Sun) for Level 2. Note that the minimum spend is $1500 (Mon-Thurs) or $3000 (Fri-Sun) for Level 1 and $1000 (Mon-Thurs) or $1500 (Fri-Sun) for Level 2.